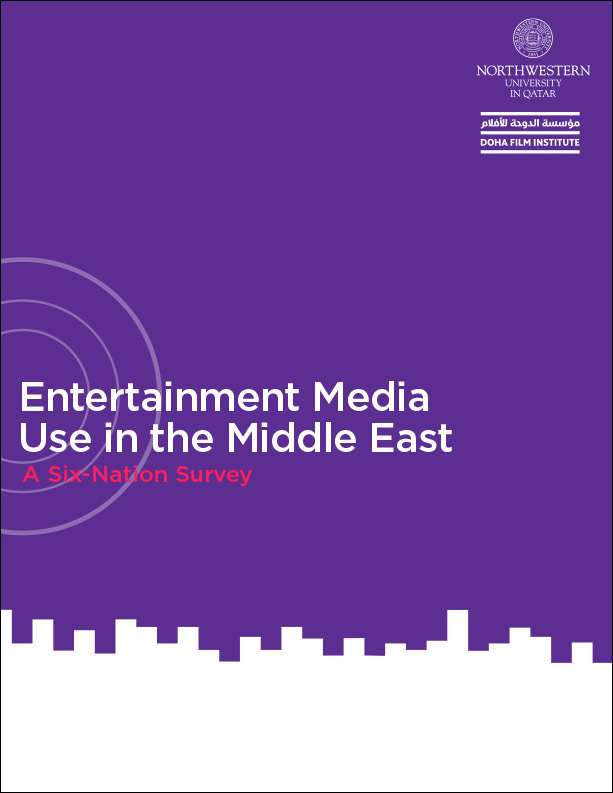 The Entertainment Media Use in the Middle East explores trends in entertainment media consumption in the Middle East. The survey report represents 6,035 face-to-face interviews in nationally representative samples of Qatar, Saudi Arabia, Lebanon, Egypt, Tunisia, and the United Arab Emirates. Carried out by Northwestern University in Qatar with the collaboration and support of Doha Film Institute, this survey endeavors to fill a gap in available knowledge on entertainment media in the Arab world through a comprehensive study of six countries across the MENA region. Films, music, television, video games, the internet, and social media are examined.